No one is totally immune from an attack of the dirty hair, whatever your hair type. 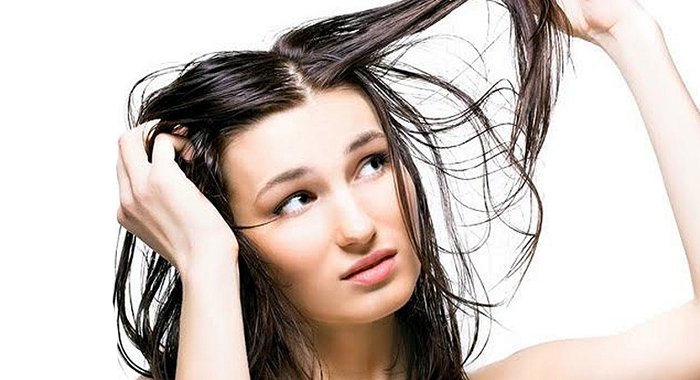 Whether you have naturally oily hair or not, the weather, sweating during a workout or dancing the night away can turn anyone’s locks from a cascading, shimmering, beautiful head of hair to limp, damp looking, greasy mess. We’d like to believe that our hair always looks as perfect as it does in the conditioner commercials, but the fact is everything from the weather to a sweaty workout can transform even the most gorgeous locks into a limp and greasy mess. 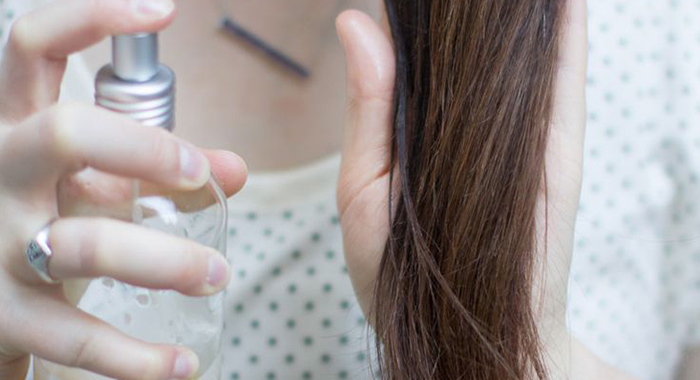 Whether you’re genetically prone to oily hair (we feel you, sister!) or you just want to know how to last even longer between washes, take a look at our top 8 tricks to stop greasy hair in its tracks. Dry shampoo is a must have for girls on the go. Even if you don’t routinely suffer from oily hair, an intense workout or even that time of the month can wreak unexpected havoc on your hair. Dry shampoo can be a life saver, especially on a night out. Even if you don’t need to use it very often, it’s a good thing to keep in your handbag, just in case. If you get off the dance floor and notice that your hair is looking limp and lacklustre, then a quick trip to the bathroom, spray on some dry shampoo and you will emerge looking as good, as new again. Make sure you’re prepared at all times by keeping a bottle of dry shampoo in your handbag. Whenever your locks start to look limp, just spritz a little dry shampoo onto your roots from approximately 30 centimetres away – don’t overdo it or you’ll weigh down your hair. Brush the product carefully through your hair and voilá – the oil is gone. Some dry shampoos even come in different scents to help with that fresh feeling! Powdering your hair can easily absorb excess grease and oil from your roots, which is where that ’90s grunge look generally starts. Any kind of loose powder will do, applied with a puff or, for more control and natural placement, a makeup brush. If you’re travelling light and don’t have any powder or dry shampoo on you, there is one other option: Paper towels. It will blot some of that grease from your hair. It’s not the most elegant of solutions, but it does work in an emergency. Just grab a few from the restroom and use them to blot the oil from the greasiest parts of your scalp and tresses. If you’ve got thick hair, section it off into four to six different parts first, then place a paper towel beneath each layer of hair like you would a highlighting foil. Use a second towel to press down against each section to absorb the oil. It’s not a long-lasting or elegant solution, but it’ll definitely work in a jam! And finally, our last emergency tip on what to do with greasy hair is – try greasy hair hairstyles. When your hair gets oily and you don’t have time to wash, blow dry and style, then you can try hairstyles for greasy hair, such as side swept or top knot, braid, ponytail or messy ponytail, etc. All these hairstyles are good for those lazy days when you don’t feel like washing your hair, but you still want to look somewhat elegant and glamorous. If you have nothing else with you but some perfume, then a quick spritz on your hair will help rid you of the greasy look. Like hand sanitizer, perfume contains a lot of alcohol, so it too will help to break down the oil in your hair and level it smelling fresh too. 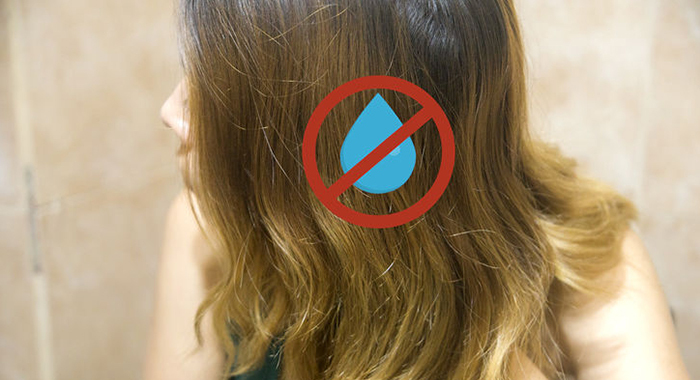 Don’t use this tip often though, as alcohol can dry out your hair. Turn that bed head into gorgeous beach waves. Revive your roots with powder or dry shampoo and blast them with your blow dryer for a minute. Use your fingers to tousle and scrunch your locks and then rub some argan oil onto your ends for a softer texture. We like Dove Elixir Nourished Shine Hibiscus and Argan Oil. Skip running a brush through your strands as the messy, undone look is what we’re aiming for. This is pretty obvious but it also gives you a chance to experiment with your personal style. 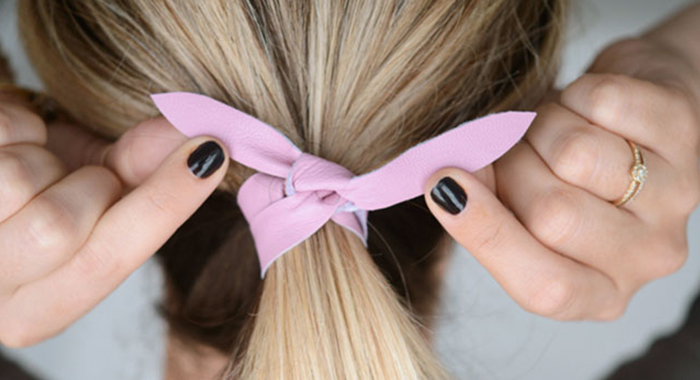 Put on a thick hairband or cute scarf to cover up greasy roots. Pair it with a flowy maxi dress, a floral bag and get ready to rock some boho chic like never before. 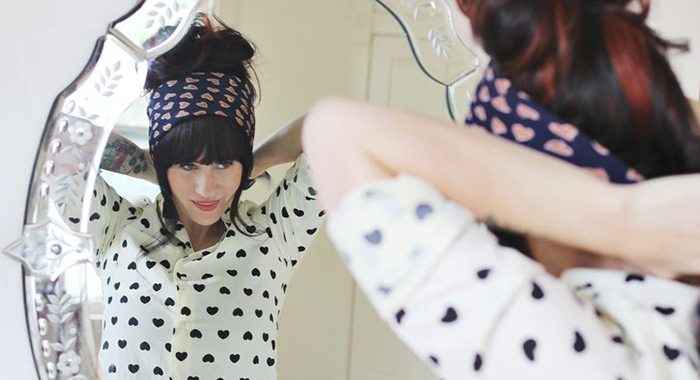 Your bangs tend to get oilier than the rest of your hair so one easy option is to give them a quick wash. Tie the rest of your hair back and give your bangs a quick shampoo in the sink and then brush them out under your blow dryer. The whole process shouldn’t take you much time at all and will give the impression of just-washed hair.